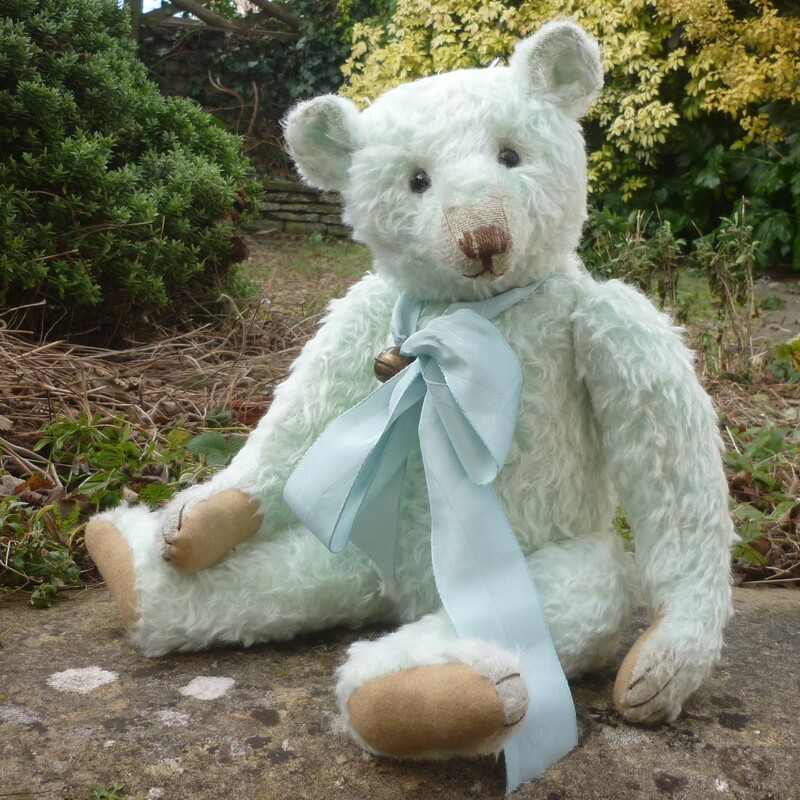 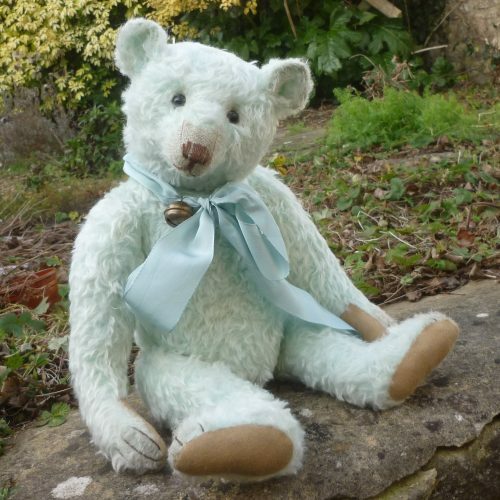 Joy is a one of a kind bear made of pale, turquoise mohair. 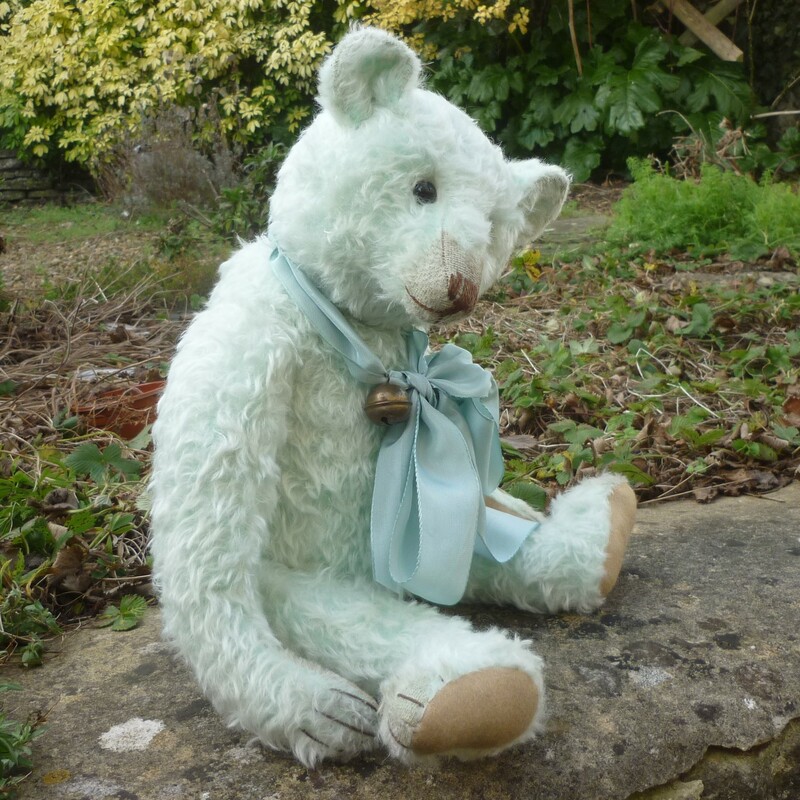 She wears a brass bell on her silk ribbon bow, has felt paws, black glass eyes, a skip-stitched nose and painted detail. 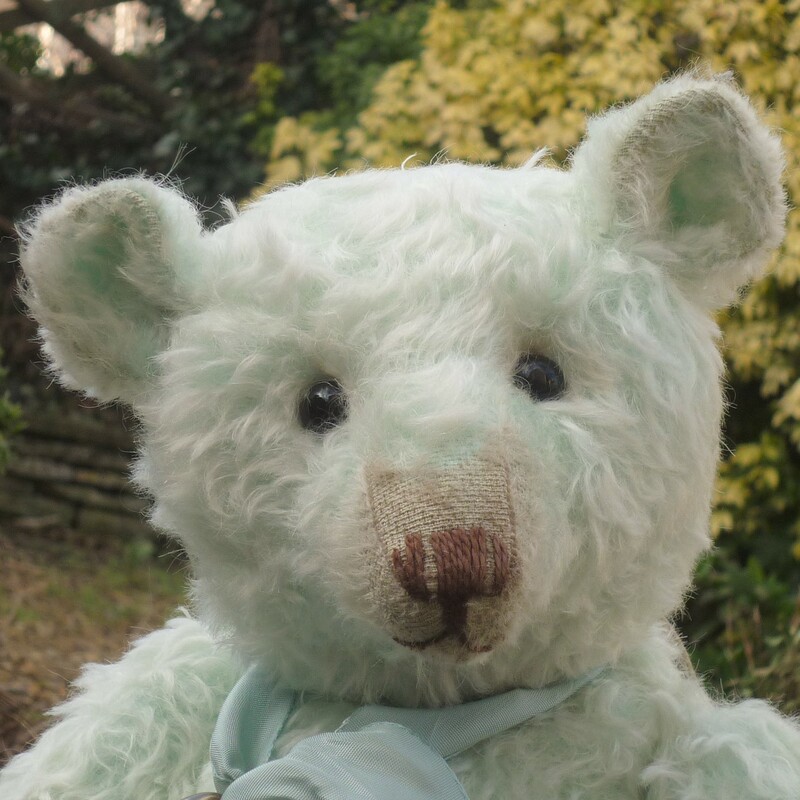 Traditionally filled with wood shavings.